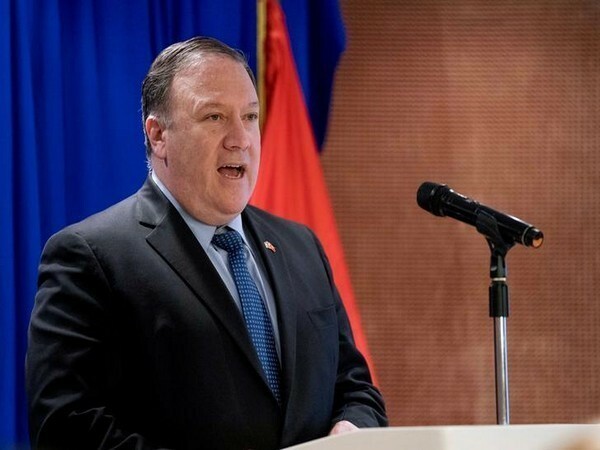 Washington DC [USA], Mar 19 (ANI): The United States and North Korea are trying to get the "sequencing" right in negotiations to dismantle the communist country's nuclear weapon programme and open a new future for Pyongyang, US Secretary of State Michael Pompeo said on Monday. He made the comments in response to North Korea's criticism of the US' "gangster-like" demands on denuclearisation. North Korea also threatened to suspend talks with Washington and resume missile launches and nuclear tests. Asked on the stalemate between US President Donald Trump and North Korean leader Kim Jong-un during their meeting in Hanoi last month, Yonhap News Agency quoted Pompeo saying: "I can't say much about the details of the negotiation as those are important private conversations. But it's clearly a range of issues around timing and sequencing and how it is we achieve this." He underlined that Trump's commitment to a brighter future for the North Koreans is "very real." "But it must follow -- it has to follow the verified denuclearization of North Korea. And getting that sequencing right and getting it laid out in a way that each of the parties can agree to and take down the tension level along the North and South Korean border. It matters to the people of Japan and South Korea, our important partners, and it matters to the whole world," Pompeo said. Pompeo's remarks have reinforced the US' stand of "complete and verifiable" denuclearisation of North Korea, if it wanted concessions, including the lifting of sanctions. US' National Security Advisor (NSA) John Bolton on Sunday hit out at North Korea, asserting that they were "unfortunately not willing" to take steps to finalise a deal with the US aimed at Pyongyang's denuclearisation. “The North Koreans were unfortunately not willing to do what they needed to do. Just last night they issued an unhelpful statement that they’re thinking of going back to nuclear and ballistic missile testing, which would not be a good idea on their part,” The Hill quoted Bolton as saying. “President Trump wants this threat resolved through negotiations. He wants North Korea to be free of nuclear weapons, that’s for sure,” he added. US Special Representative for North Korea Stephen Biegun is set to visit the UK today to meet with his British, French, and German counterparts to discuss coordinated efforts to advance North Korea's denuclearisation progress, the State Department said.